Appropriate for undergraduate and graduate courses in teaching mathematics in the primary grades or in early childhood. 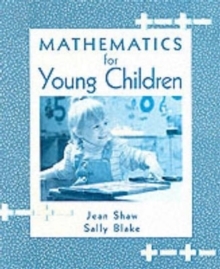 Intended for pre-service and in-service teachers, this book discusses how mathematics should be taught to children ages three to eight. Based on ideas from effective practice, the book supports the importance of quality early education and the need for better mathematics for all children. Organized in two parts, the first part describes the need for and nature of mathematics reform, discusses how young children learn, and how educators can plan and implement activities. Multi-faceted approaches to assess learning are also addressed in part one. The second part of the text focuses on mathematics topics and ways to facilitate young children's learning.